Through regional meetings, a national conference and national awards, EWIF supports women in the franchise industry and helps franchisors attract more women to their networks. 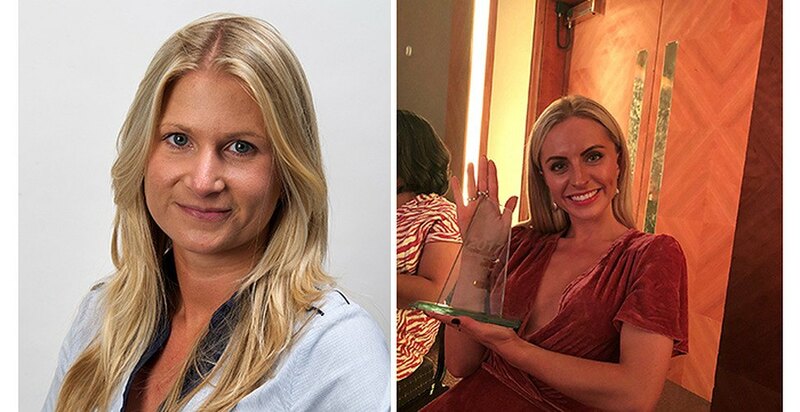 Battling it out amongst a record number of entries, Caremark Limited’s Lisa Fyfe and franchisee Hannah Drury were both named finalists in three different categories. Both women will be representing the home care franchise at EWIF’s prestigious awards ceremony in London on May 15th. 34-year-old Chartered Accountant and Finance Director for Caremark Limited, Lisa Fyfe, has been named finalist in ‘Best Woman Franchise Employee of the Year’. After joining Caremark 9 years ago as Financial Controller, she worked her way up through the ranks and now runs an all-female finance department. “I’m in shock!” says Lisa. 26-year-old Hannah Drury, Operations Director at Caremark (Sutton), has been named as a finalist in the ‘New Woman Franchisee’ and “Young Woman in Franchising of the Year’ categories. Hannah is no stranger to awards. In 2017, she was recognised by the British Franchise Association and a number of regional awarding bodies for her success in managing a home care franchise and her commitment to the elderly and vulnerable in her community. Anne O’Rourke, Managing Director for Caremark Limited says that ‘she’s incredibly proud and pleased for both women’. For more information about EWIF, visit www.ewif.org.